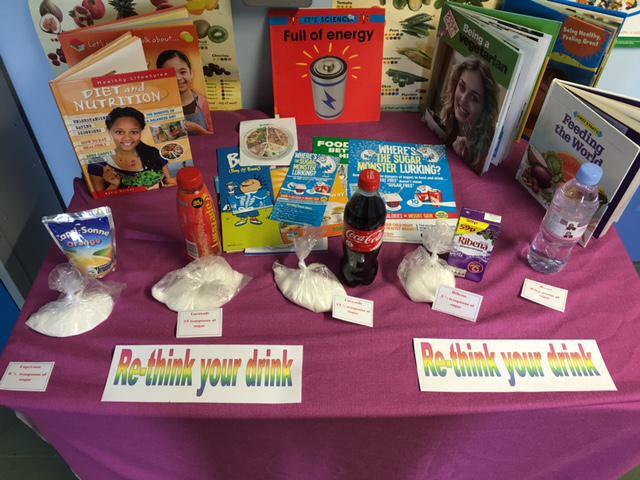 Being healthy at Tennyson Road-Rethink your drink! 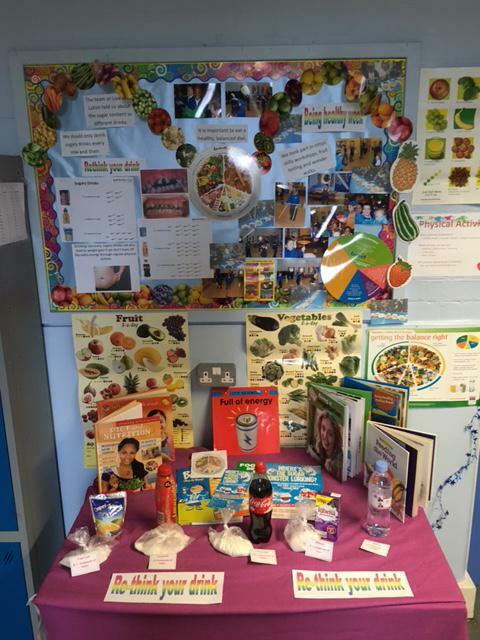 As part of our on-going Health and well-being at Tennyson Road the children had a visit from Live well Luton last term, who talked to them about healthy diet and lifestyles. 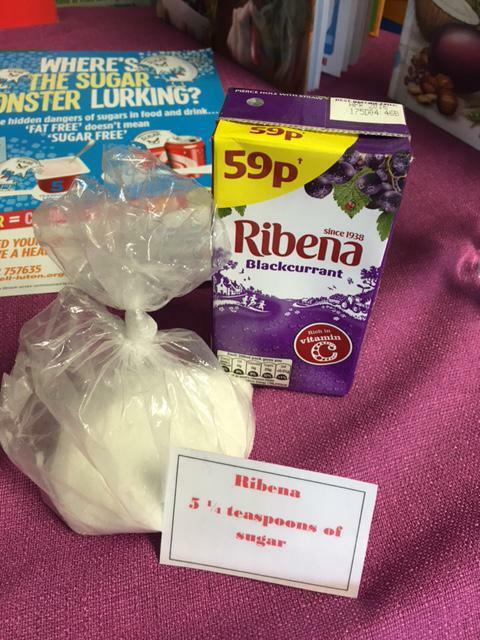 We started a 'Rethink your drink' campaign which has helped staff and children understand the dangers of drinking too many sugary drinks and also made us all aware how much sugar there is in the drinks we choose to drink. 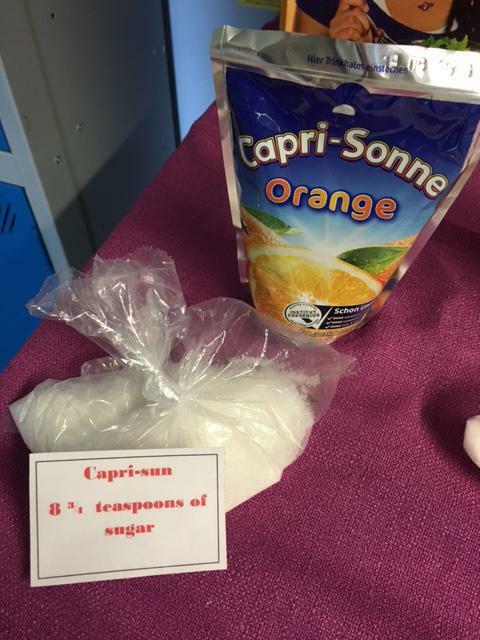 Staff and pupils alike were surprised to learn how much sugar there is in a capri sun drink! 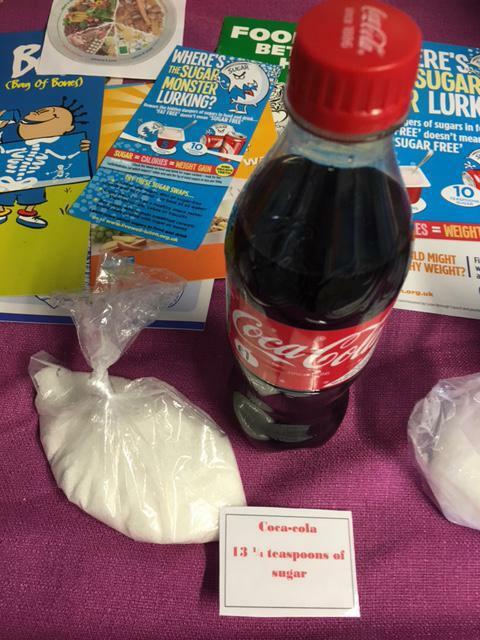 please look at the photos to see for yourself!